Want to get to the core of understanding risk within various business frameworks? The answer is Risk Analytics. This new breed of data analytics facilitates organizations in precisely defining, recognizing and managing their risk, and its need is going to increase in the coming few years. New developments in risk analytics are gaining limelight and bringing a notable transformation in the market, while enhancing its overall capability. Recently, a team of analysts had eureka moment – they introduced a new concept of real-time risk analytics – it is nothing but a modern, more advanced version of traditional risk analytics methods. Here, the prediction is based on real-time data – it processes, examines and determines risk all on a real-time basis – hence top notch financial institutions are putting real-time risk analytics to best use to manage and mitigate associated risks. Several asset management, portfolio management and hedge fund firms, and investment banks are relying on this mode of risk analytics to modify their operating principles to play in accordance with investment and market shifts. Explaining the Everlasting Bond between Data and Risk Analytics – @Dexlabanalytics. The flawless incorporation of new-age risk market risk modeling techniques into analytics enables enterprises ascertain probable fraud, understand the intensity of the fraud and strategize the investigations structured on such a projection of fraud. Fraud detection analytics is another hyped form of data analytics that helps run-of-the-mill government organizations identify fraud and tackle newer levels of risk. User behaviors are being checked, historical data is being tracked into and an inside-out scrutiny of current and past transactions is called out for – after all, risks are never good for any organizations, hence needs to be nipped at the bud. Which Tools Are Going To Steal the Attention? A wide variety of risk analytics solutions are now available in the market, which includes data extraction, scorecard evaluation, data visualization tools, dashboard analytics, risk reporting and government risk compliance tools. Most of the common risk analytics services are support and maintenance, integration and consulting services. Coming to its applications, Risk Analytics boasts of a broadening field of applications, like, credit risk management, industry benchmarking and validation, liquidity risk analysis, fraud detection and prevention, real time situational awareness, and product portfolio management. And industries that rely on risk analytics are banking, financial services, insurance, consumer goods and retail, government, healthcare, telecommunication and information technology (IT), manufacturing, transportation and logistics, energy and utilities, media and entertainment and others. Cyber Value-at-Risk Model: Quantifying the Value-at-Risk – @Dexlabanalytics. Going by the trends, the GRC software is expected to capture the market from this year to 2012. With this new software, companies are now better equipped to identify, administer and analyze risk and compliance across the various organizational levels through a single meshed solution. In addition, the coming 5 years are going to witness a steady demand of Scorecard and Visualization tools software as it empowers representation of multi-dimensional data to strengthen the quality of analysis coupled by increased precise observations. Which Sector Is Going to Witness the Highest Return? 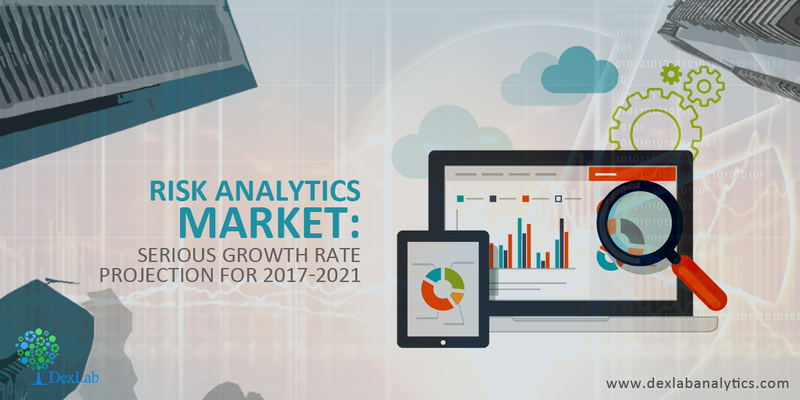 The manufacturing sector is going to reap maximum benefits of Risk Analytics for the time period 2017-2021. The better returns can be attributed to a speedy change in customer expectations, cut-throat market competition and stringent regulatory measures. Next ranks the banking and financial services sector – it also plays a major role in improving the landscape of risk analytics market in 2017. For more information on Market Risk Modelling using SAS, look up to DexLab Analytics. Specializing in the best risk management courses online, this premier institute caters only the best!